Delivery from £33.48 to United Kingdom in 10 - 20 working days. The pins are detached and can be moved around the back piece to meet your needs at each time. The books rest on a small wooden plate so the pages stay intact. The plates can be moved back and forth on the bottom of the book to control the height of which the book hangs, making it possible to line different sized books up in a straight line. The string is made of waxed cotton and you can choose between dark brown, beige or red. 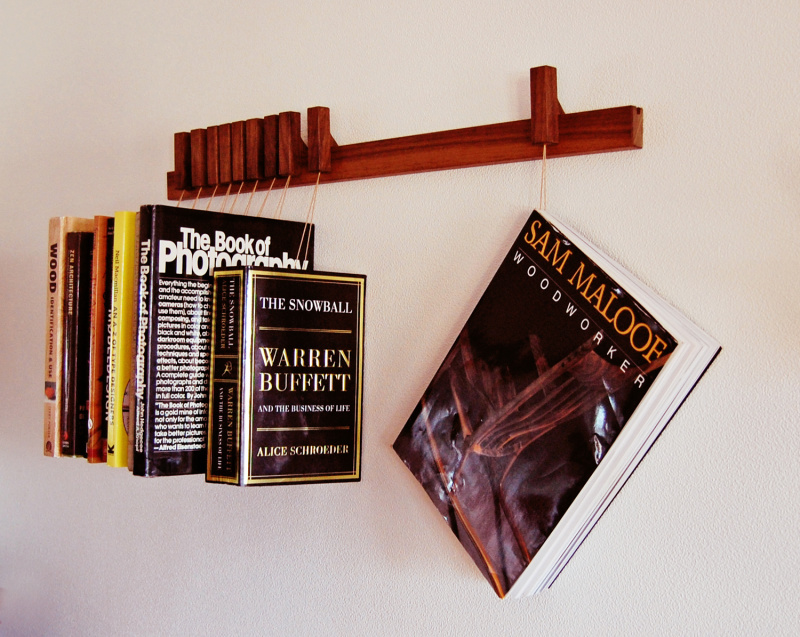 For the book rack in Wenge, the standard colour of strings is beige. 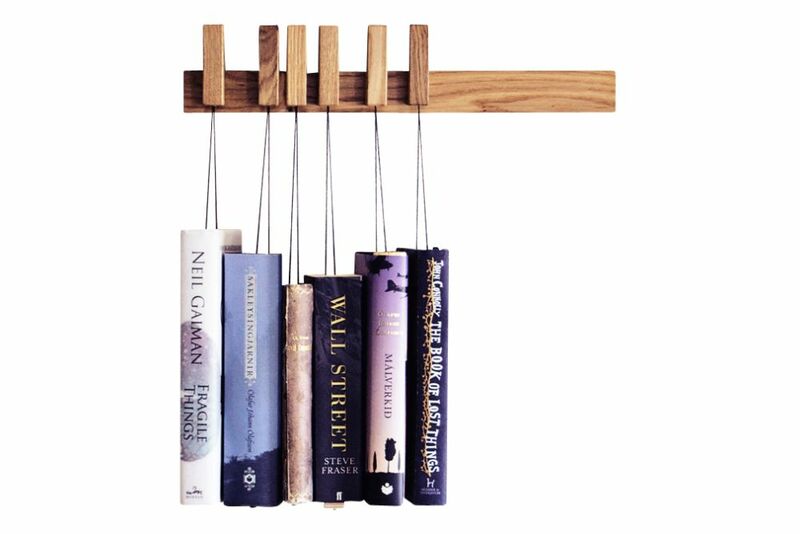 Each book rack is handmade, please allow for up to 2 weeks before we ship the item. We do sometimes carry items in stock. Please check with us for availability and estimated delivery time to your location. AGUSTAV is a furniture design and production company established in 2011 by Agusta Magnusdottir and Gustav Johannsson. AGUSTAV creates high-end furniture and aims at making pieces that can last lifetimes. At AGUSTAV the creation process centers on weighing out aesthetics and functionality. Product quality is assured by using carefully chosen, high quality materials that are skillfully crafted by furniture makers. AGUSTAV works with the environment by planting a tree for each item sold as well as using certified environmentally friendly packaging.